Embarrassed but not sure where to go or what to do? Have you tried expensive lotions, powders and creams? Tried home remedies like Tea tree oil and Vick with no success? Concerned about trying medications that can hurt your liver function? Worried about side effects from medications? Tried creams, lacquers, paints and medicaments with NO results? You are NOT alone! There is an answer to Fungal Nail Infections! 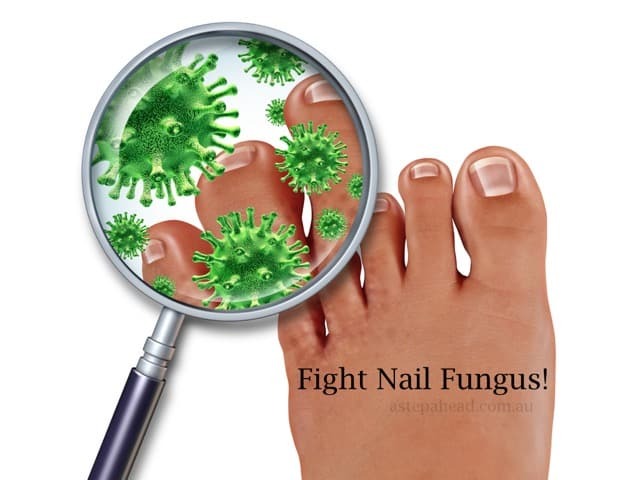 It is estimated that over 2 Million people in Australia suffer from Fungal toenails ! (10% of the Population). So if you think your nails have a fungus you may well be right! Fungal nails can be unsightly and embarrassing. Often described as “rotten nails”, patients may describe their nails as varying in colour, from a yellow through to a brown discolouration. The nail may also look like it is thickened or even eaten away. Sadly treatment to date has been limited with only expensive but often ineffective nail paints or prescription only heavy duty oral medication which while effective taken a long time to work and can have significant side effect for many people. Laser therapy is a new and highly effective treatment for this embarrassing and health effecting problem. Safe - No side effects! While often many patients try to avoid treatment hoping home remedies or nail paints and lacquers will work on most occasion early treatment is the best for a successful outcome. The first signs of nail fungus include small white patches appearing on the nails or a yellow discolouration developing in the nail. When these signs begin to occur the best thing you can do is seek treatment early. Early treatment will cut recovery time meaning your nails will return to a healthy clear look earlier. It also is easier and increases your chances of a quick and successful recovery. Got all the facts you need. Ready to make an appointment? When your nails are infected with fungus not only is the fungus alive and living in and on your nails but it is also breeding. The “eggs” of a fungus are called spores and they are completely invisible to the naked eye. The spores or eggs are very strong and despite numerous potions creams and paints on most occasions they do very little to kill the spores of the fungus living in your nail. 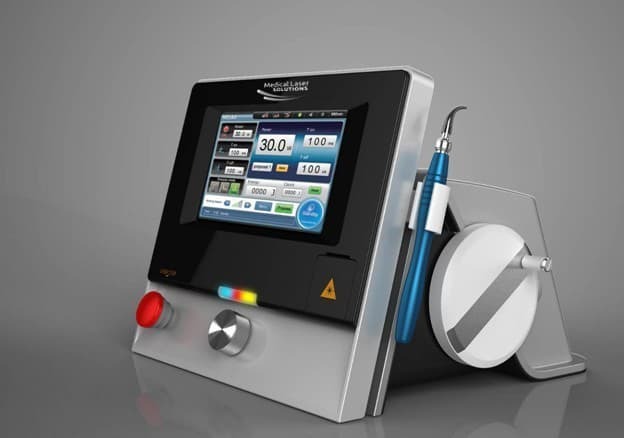 Laser treatment passes a beam of laser light at very high spectrum over the infected area. This laser heats the inside of the nail and the tissue underneath gently raising the temperature to between 45 and 50 degrees. This kills both the fungus and its spores or eggs that are in and around the nail. This laser is specially calibrated to kills both the fungus and its spores. The laser is safe and painless and takes approximately 30 to 45 minutes to treat all 10 toe nails. There is no need for anesthetics or operations and the treatment is performed in our specially prepared treatment rooms. Ugly yellow and unsightly thickened toe nails can stop even the prettiest feet from heading to the beach. Treatments for nail fungus will kill the fungus and its spores immediately. However the nail will take a number of weeks and months to grow out and become completely clear again. 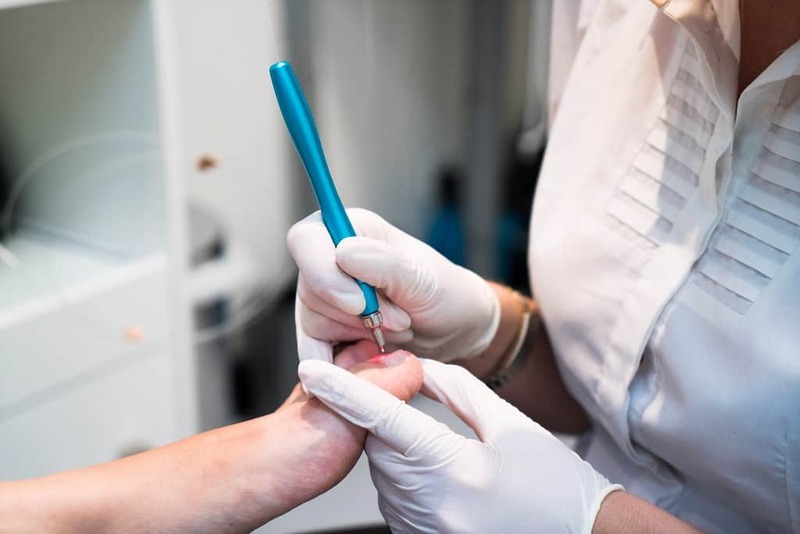 Its important to undertake this treatment as soon as possible if you are looking forward to a function where you can show your toes off and at their best. 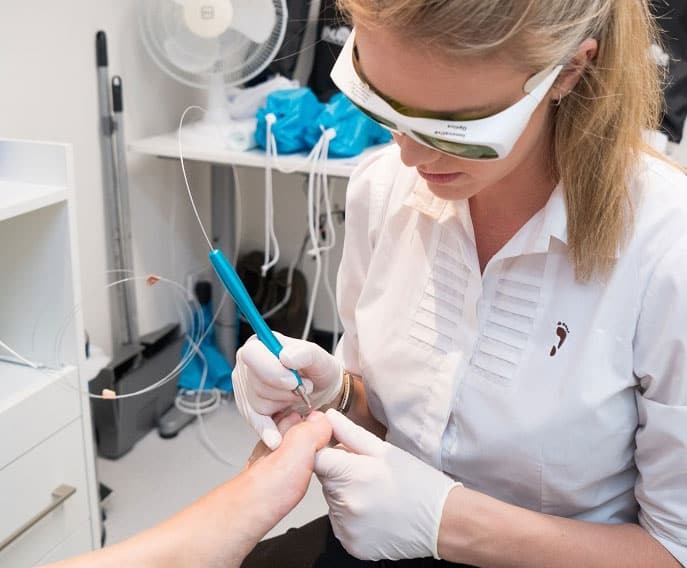 There are other cosmetic treatment s that can be undertaken while the nails grows out which can immediately make the regrowing nail look healthy and attractive again. Please ask your podiatrist for advice on these during your consultation if you would like more information. Fungal nails will not go away by themselves! Time and time again friends advice of home remedies and quick fixes are proven to be good intentioned but sadly worthless. Even pharmacy medicament's, creams and nail paints are difficult to use confusing and many times can be highly unsuccessful. Laser treatment is highly effective with minimal discomfort and is safe and effective! Call our clinics on Penrith 47322007 or St Marys on 96732987 to make a time to make your nails healthy clear and disease free again. Want more facts on fungal nails?